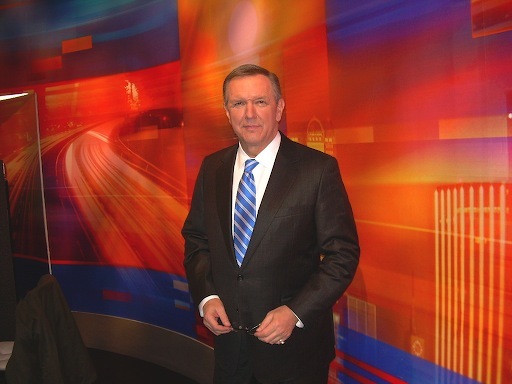 ABC News has announced the date of the final World News edition anchored by Charles Gibson. It'll be Dec. 18th, with Diane Sawyer set to leave Good Morning America and succeed Gibson on a still unannounced date in January. ABC disclosed Gibson's surprise decision to step down in an early September announcement. Jon Banner, executive producer of World News, said on his "World Newser" blog that "we're going to spend a good deal of time during his final week on the air looking back at the stories Charlie covered, hearing again from some of the remarkable people he interviewed, and paying tribute to our friend and colleague, and the enormous contribution he has made to ABC News over the last three decades." ***Also on the ABC front, Oprah Winfrey will interview President Obama and First Lady Michelle Obama during her Christmas at the White House special, scheduled for Sunday, Dec. 13th. Winfrey, who very publicly endorsed Obama's presidential candidacy, also will "showcase behind-the-scenes preparations as the White House gets ready for the holiday season," a publicity release says. ***Mark your calendars and arrange your clothing in neat rows. The season finale of USA's Monk is coming on Friday, Dec. 4th at 8 p.m. (central). Monk has run for eight seasons, with star Tony Shalhoub picking up three acting Emmys as "defective detective" Adrian Monk.